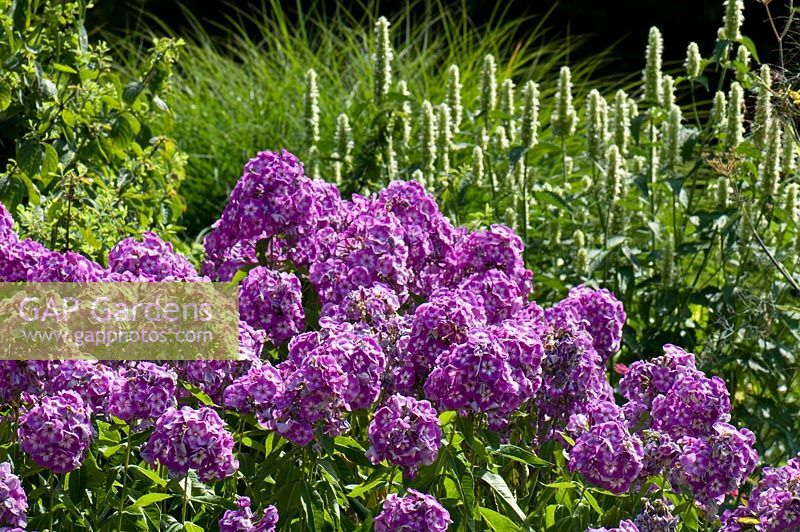 Phlox paniculata 'Laura' planted with Agastache urticifolia 'Alba' . Sir Harold Hillier Gardens, Hampshire, UK. Image 0506948 has been added to your cart.